Angels. Who are they really? Do we have guardian angels? Do they really look like the pictures? Do they make appearances today? All great questions. Our world is intrigued with angels, in part, because they’re part of the mysterious, the metaphysical – the supernatural. Everyone has an opinion as to what they are. The 16th Century Reformer, John Calvin, said, “We would be wise to renounce vain babblings concerning the nature, ranks, and number of angels without any authority from the Word of God.” Good advice. So to the Word of God we go. The following biblical facts are in no way exhaustive but, nonetheless, contain some interesting biblical facts about angels. 2. They’re last mentioned in Revelation 22:16. 3. Only three angels in Scripture are given names: Gabriel, Michael, and Lucifer/Satan. 4. Each time Gabriel is mentioned he is delivering a message. Each time Michael is mentioned he is battling the enemy. 5. In heavenly form, two types of angels are mentioned: cherubim & seraphim. 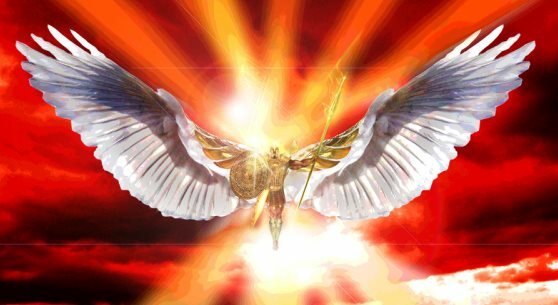 The cherubim are mentioned 70 times in the Old Testament, but only once in the New. The seraphim are mentioned only once all the Bible: Isaiah, chapter 6. 6. When described in human form they are always male, and never described as having wings. 7. The Bible never once mentions the angels singing the night Jesus was born. When they appeared to the shepherds, they were speaking, not singing. Only two times in Scripture are angels described as singing: Job 38:7 & Rev. 5:8-10. This is Part 1 of a 2-Part Series. Part 2 answers questions such as, “Do we have guardian angels?”, and “Do we encounter angels today?” You can read it here.